I am proud to introduce you to the new addition to my family it is the Chillington Camden Classic Wheelbarrow. After researching online forums and blogs I picked this up from Wickes for £29. It is a fairly cheap model but not the cheapest and had much better reviews that the cheaper ones at B&Q and Homebase. I filled this yesterday about 15 times with weeds, brambles and nettles, well at least I think they were weeds, I hope I haven’t pulled up some rare species of plant. Even with my limited knowledge of gardening I can recognise nettles and brambles. It was a really good workout especially the 5 minute walk to the bottom of the garden to dump the contents and then the ten minute walk back up the hill to fill it again. Needless to say this morning I have aches and pains in muscles I didn’t know I had. 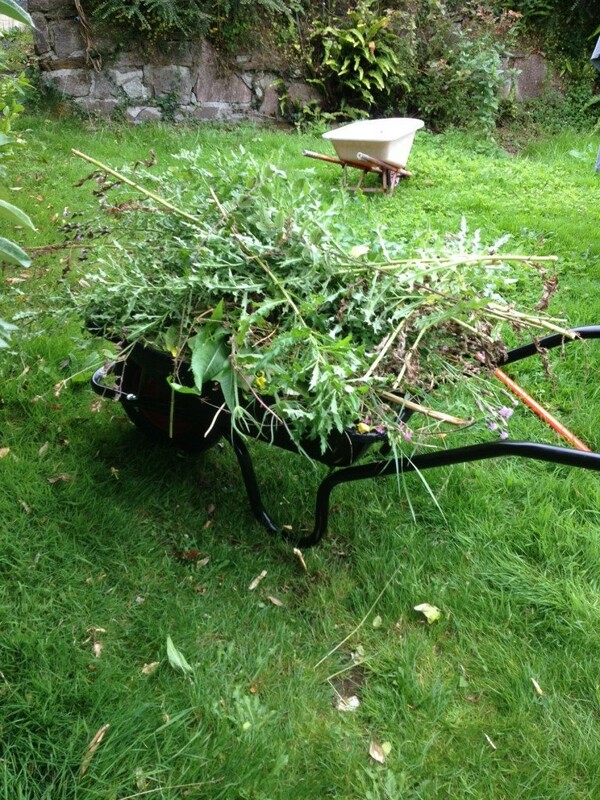 I really enjoyed wheeling it around, it is bizarre to be getting so excited about a wheelbarrow but oh well. I am off to buy a lawnmower this morning one that can go up steep hills and if the rain holds off lighting a bonfire.